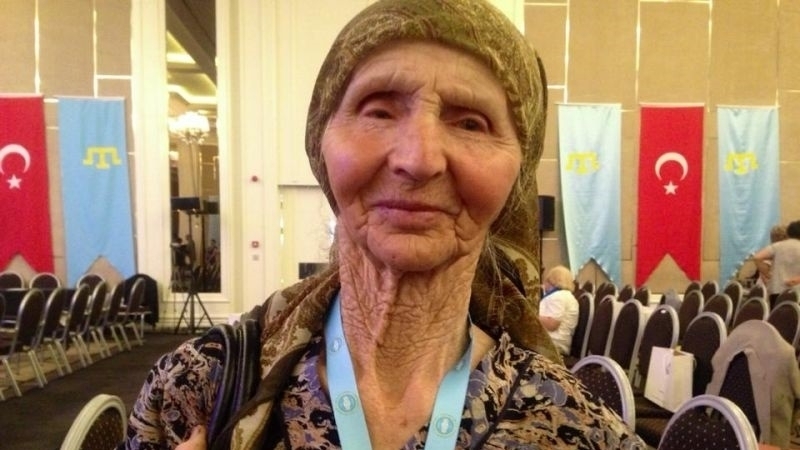 The name of Vedzhie Kashka, a veteran of the Crimean Tatar national movement, who died on November 23, 2017 at the hands of Russian invaders, will be immortalized in the Turkish city of Aksaray. After studying the relevant request from the leadership and the women's branch of the Crimean Tatar diaspora in Aksaray, the town mayor Haluk Sahin Yazgı said he would provide the women's center with the name of Vedzhie Kashka. The Head of the Aksaray Crimean Tatar public organization Ahmet Akkuş noted that the women's center will also have a gymnasium, apart from training courses. According to him, the Aksaray mayor's office has always paid special attention to issues of history and culture. “The mayor's office and city head, giving the name to the center, perpetuate the memory of the national hero of the Crimean Tatar people Vedzhie Kashka. We thank the Mayor Haluk Sahin Yazgı, the Deputy Mayor Güven Kemerkaya, the staff of the Aksaray Culture Department and the entire city municipality of Aksaray," he said. Reference: On November 23, Kashka stayed with several other Crimean Tatar activists, including Bekir Degermendzhi, Asan Chapukh, and Kyazim Ametov in a café in Simferopol, a major city in the Russian-occupied Crimean Peninsula. Earlier QHA reported that on January 2 in was a prayer was held in the Crimea to honor the memory of the legendary woman, a veteran of the national movement.